Home » Mattresses » Latex » Help Me Find the Best Latex Foam Mattresses! Help Me Find the Best Latex Foam Mattresses! Finding the best latex foam mattress involves a number of small decisions. While there are several aspects that should be considered, the reasons for needing the mattress should be at the top of the list. These are some things you should consider when shopping for a good mattress and some of the products available on the market. How do I actually shop for a latex foam mattress? First things first: consider your budget. Before searching through the stores or looking at your online options, you should be considering what your budget looks like. Not everyone will be in the position to purchase a top of the line latex foam mattress, which is okay. Sometimes more money spent doesn't equal the best quality. List deal-breaker qualities on both sides of the spectrum. Once you have your budget situated, you can begin your search for a good latex foam mattress. Start by listing deal-breaker qualities, which you absolutely must have or absolutely don't want. This will help you to narrow your search options before wasting time sifting through stores or online retailers. Your next step should be looking at the composition of the mattress or in other words, how it is made. Obviously anything you get that is made 100 percent from the material it should be is best, but that isn't always what you get. You will need to research and ask questions. What type of latex is this mattress made from? There are two types of latex, one more expensive than the other. Dunlop latex is what the latex foam mattresses are generally made with, but the Talalay latex is better quality. If expense is something you need to be strict about, the Dunlop is perfectly acceptable. You will also need to ask and research what the entire mattress is made from. Every single portion of the product should be labeled and if it isn't, buyer beware. Also consider how flame-resistant your mattress is said to be. By law, your mattress has to be flame-resistant, though what is used to make that happen isn't regulated. Several chemicals could be used to make that happen, some of which could have affects on your health. Trying to find a suitable foam latex mattress for you and keeping with everything you need and want, looking for 100% wool is the best. You will get peace of mind to know what you are sleeping on, and wool has excellent flame-resistant capabilities. Next you should be concerned about what you actually want in your mattress. Soft or firm? What are your medical needs that require this purchase? All of this has to be addressed and considered before finalizing your choice. Here's some more good info about how latex and memory foam stack up against each other. Latex is generally more on the firm side, but you may be able to find a few manufacturers who could offer some flexibility in the mattress. Consider choosing a retailer with a variety of levels of firmness in case you don't pick the right one at first. Look for warranties, both in store and from the manufacturer. Remembering to look for warranties is also important, especially with this type of purchase. Generally there are stipulations along with warranties, so making sure you read all of the fine print is incredibly important. This is one mattress you definitely need to take a look at when you are searching for an awesome mattress. 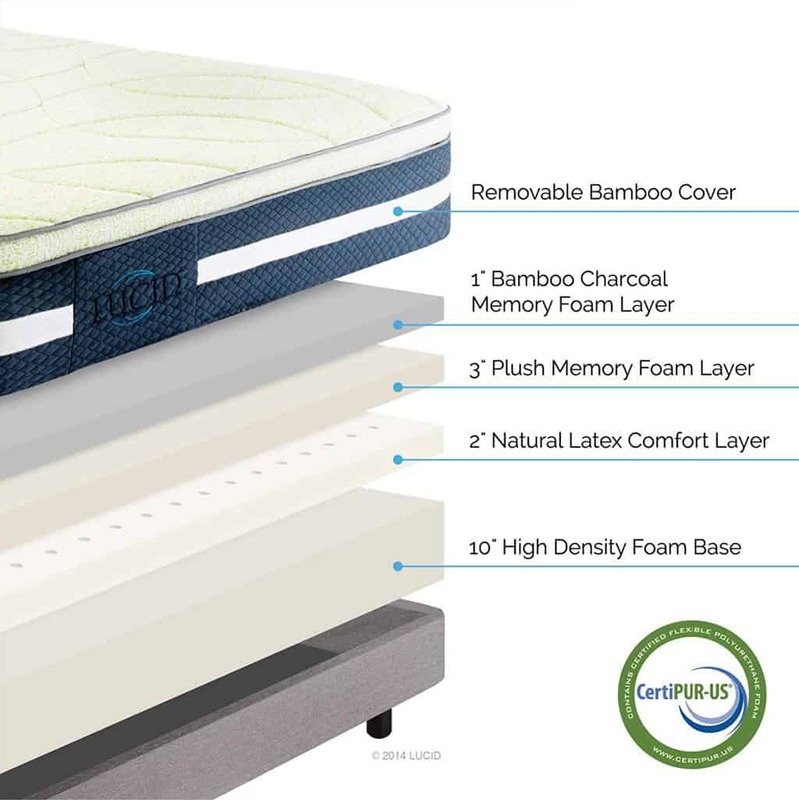 It is made from Talalay latex, and comes with a bamboo cover. One of the best features this mattress has is that it is ideal for allergy patients. It is hypoallergenic, making it highly desirable. The manufacturer also offers you a choice for the level of firmness, which may be hard to find. As with any product, there are also potential downfalls. One of the biggest issue with this latex foam mattress is that you have to rotate it often. Mattresses are expected to be turned in order to avoid sinking spots, but this one needs to be rotated with each sheet change. It may be a little bit of an annoyance, but it is well worth it to keep your mattress feeling brand new. There is also a new smell that comes when the mattress is taken out of the delivery package. It should disappear within a few days. Some tips to get rid of the smell are to use something that you can spray on the mattress that can mask the odor. It isn't completely overpowering, but it will take some getting used to. This mattress is another one to look at when trying to make a decision on the best latex foam mattress for you. If you have aches and pains, this may be something you want to look into. It is said to help with back and leg pain, but there will be an adjustment period if you are going from a regular mattress to a latex one. It may take a few weeks or a month, but it will happen. One side of this mattress is firm and the other semi-firm. You will be able to test out both sides as you rotate your mattress, and overall the product is quite satisfactory. You may notice a smell as you unroll your mattress and it expands. New products often have a scent to them, but this usually disappears in a few days. It is nothing to worry about and it you can't stand it, you can always let it air out before sleeping in it nightly. This is one mattress that is definitely worth spending a little more on. The mattress itself is made of four layers, which helps to prevent sinking even without rotation. It is incredibly heavy as the California king size mattress weighs a minimum of 160 pounds. There is also an odor here, and it takes up to a week to fully work out and away from the product. You likely won't notice the issue too much if you use a topper or mattress pad, but neither are necessary with this purchase. The biggest downfall for this latex foam mattress is that if you are on the heavy side, it may not work as well for you. You will still need to rotate this mattress, though it may not appear to need it. Generally the rule of thumb is every other month, but sometimes when you change the sheets is more ideal. You will need help with the process as this mattress is one of the heavier ones available on the market. The biggest reason this mattress is one of the best options for a latex foam mattress is because you get to choose your firmness. This option allows you to customize your own needs and allows you to avoid having to conform to what a standard setting would be. If you are specifically looking for something that will help with health ailments, this may be the perfect option. It is heavier than most standard mattresses, which may make flipping it a little harder on you. There isn't much room for this product to sag, but rotating it is advised as with any mattress. There will be a smell with this product, which could last up to a month but usually disappears in a few days. The latex layer is definitely the highlight of this product, and one that you likely will be happy with for several years to come. If you are okay with spending a little more on latex foam mattress, this may be one you will be impressed with. Mattresses are an investment to most people because they dictate how you will wake up in the morning. This specific product helps to hit pressure points when you sleep and allow you to rest peacefully. It is almost triple the cost of some of the other products in the same category, which could be a downfall for those on a budget. There are 13 different firmness options, the widest options available. A slight smell will be present when you first open up the mattress, but it will fade as days pass. Be prepared for this, especially if you will be sleeping on it night one. 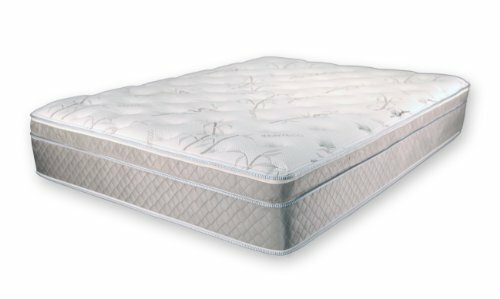 This mattress is one of the better options for latex foam mattresses and comes with the option to change the latex layer if the firmness is not right the first time.